Located in NYC, one of the most diverse cities in the world, the Computer Science Department at Columbia University (CS@CU) supports the diversity of the student population, encourages students to participate in student organizations and social events, and provides support to further students’ academic and professional and career development. Women in Computer Science (WiCS). Encourages, guides, and provides outreach to female undergraduates, graduate students, and post-docs within computer science, as well as faculty and staff. 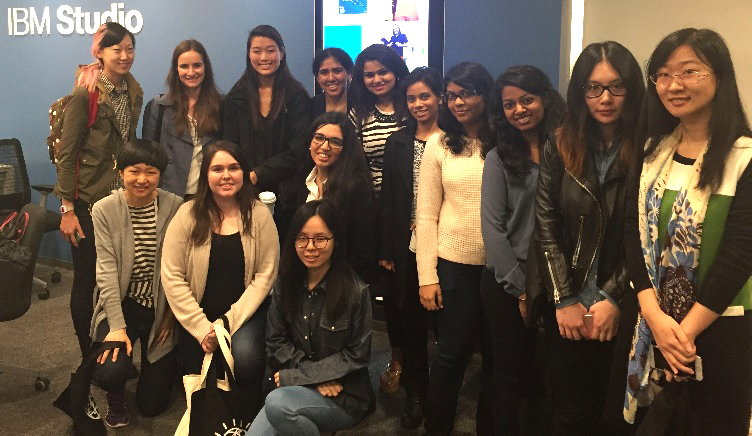 Membership is open to anyone–inside or outside CS@CU–interested in promoting women in computer science. Women in Science at Columbia (WISC). Facilitates networking, support, mentoring and outreach among women graduate students and post-docs within the science departments. The Application Development Initiative (ADI). Nurtures student creativity and technological aptitude by creating a community and resources for student developers of all talents and interests. Engineering Graduate Student Council (EGSC). Maintains communication between administrators and graduate students. Students discuss their concerns and issues; cultivate respect, interaction, and friendship among peers; represent engineering graduate students in correlation with other student-run organizations in the university community; and maintain relations with alumni and career services to help students in their professional career development. Arts & Sciences Graduate Council (ASGC). Acts as a liaison between graduate students and administrators. Students have the ability to voice common concerns–housing, health care, study space and locations, and computer services–and sponsor academic, cultural, and social events and workshops that enhance the quality of student life. Student Governing Board (SBG). Represents and works for the needs of Columbia’s student organizations. SGB commits to the principle of community self-government, and believes that students’ needs are best professed and expressed by the students themselves. The Computer Science department has a limited pool of funding available to undergraduate and MS CS students who would like to attend a CS-related conference during the academic year. Since the pool is limited and we cannot guarantee funding to every student who wishes to attend a conference, we request that you submit the application below so that we can review your request for funding. A committee of faculty will review your request and get back to you with a decision within 2 weeks of the request submission date. Please note that funding is reserved for students attending the Grace Hopper Celebration, the ACM Richard Tapia Celebration of Diversity in Computing, and the National Society of Black Engineers Regional Conference. Requests for funding to attend other conferences will be considered on a case-by-case basis, and priority will go to students who are presenting papers at these conferences. CS@CU organizes social events throughout the year for students and faculty to meet informally. Everyone is encouraged to participate. Trips – In past semesters CS@CU students have organized such trips as whitewater rafting, hiking, skiing, ice skating, bowling, comedy club night, and jazz club night. BBQs – Every semester, CS@CU PhD students organize a BBQ in the CS courtyard and lounge. Coffee Hour – The CS@CU student services team organizes a monthly coffee hour for all students, faculty and staff of the CS department. Ice Cream Socials – Everyone loves ice cream! Student organizations such as WiCS, EGSC, and ADI also host professional and social events during the academic year. CU Arts Initiative – Looking for some aesthetic stimulation? How about some authentic musical and theatrical performances? CU Arts Initiative has information about and resources for the latest arts, films, and theatrical performance, as well as information about NYC museums and culture sites. CU Arts Initiative is an excellent resource for NYC cultural activities for the CU community, and can provide students with ticket discounts and free admission to some programs, activities, and performances around the city. Miller Theatre – A part of CU Arts Initiative, as well as a nationally recognized cultural center for artistic talent, Miller Theatre explores and provides audiences with contemporary opera, classical music, dance, and film. Miller Theatre is open to the public, but gives Columbia students discounts. Information on directions, shows, performances, and times can be found here. International Students and Scholars Office (ISSO) – ISSO welcomes more than 10,000 students, interns, scholars, and accompanying family members from nearly 150 countries and offers its international clientele an array of services through the ISSO. For information about services, activities, and programs, see the ISSO website. Center for Student Advising (CSA) – For the use of undergraduates, CSA works with Academic Success programs and the Undergraduate Scholars Program. Advisors help plan academic programs each semester, answer questions about degree and Core requirements (for Columbia College undergraduates and first-year/sophomore students) and nontechnical requirements (for SEAS undergraduates), as well as help with any student inquiries or concerns. CSA works with faculty and other administrators to help generate student success. Center for Career Services – Career Services provides students with help finding a job or internship; they also provide counseling sessions and practice interviews, as well as offers current students with connections to alumni. Career Services creates career fairs and host special events for current student, as well as provide students help with various career resources, such as workshops on resumes & CVs, interviewing, cover letters, negotiating, and networking, in a variety of different fields. Student Health Services at Columbia – Provides students with health services and promotes student well-being. Columbia University’s Health Questions and Answer Site – In connection with Columbia’s Health Services, Go Ask Alice! allows students to ask questions or search for information regarding fitness and nutrition to relationships. Undergraduate and Graduate Housing – Provides undergraduate and graduate student with hospitable services and a place to stay while they study. Columbia’s Housing websites provide students with information regarding different residential housing options, on-campus and off-campus residencies, and guest/conference accommodations. See Columbia’s Graduate Housing and Undergraduate Housing websites for more information. Shuttle Buses – Shuttle buses travel among the Morningside campus, Lamont, Studebaker, the Medical Center, Harlem Hospital, and the George Washington Bridge Bus Terminal. Shuttle service is available to all Columbia University affiliates with valid University ID, free of charge. For more information about the shuttle buss and other 24-hour transportation services, visit Columbia’s Transportation website. For information regarding the Office of the Dean, Community Development, and Admissions and Financial Aid, as well as other topics of interest, see Columbia’s Student Affairs webpage. Information regarding Columbia’s policies and procedures can be found here. Levain Bakery* – 2167 Frederick Douglass Blvd. Max Caffe* – 1261 Amsterdam Ave.
Artopolis – 1090 Amsterdam Ave.
Hungarian Pastry Shop – 1030 Amsterdam Ave. Double Dutch Espresso – 2194 Frederick Douglass Blvd. Max Soha* (Italian) – 1274 Amsterdam Ave.
Flat Top* (American) – 1241 Amsterdam Ave.
Roti Roll* (Indian) – 994 Amsterdam Ave.
Doaba Deli* (Indian) – 945 Columbus Ave.
Friedman’s (American) – 1187 Amsterdam Ave.
Arts & Crafts Beer Parlor* (bar food) – 1135 Amsterdam Ave.
Fairway – 2328 12th Ave.
Best Market – 2817 Frederick Douglass Blvd. St Luke’s Hospital – 1111 Amsterdam Ave.
…and Columbia is home to the most famous classroom in NYC! Columbia Arts Initiative: cultural event listings around NYC, discounted tickets to movies, theater, museums. MTA TripPlanner: to find the best public transit route to wherever you need to go in NYC. NYC Rent Guidelines Board: What every New Yorker needs to know about rental housing. NYC Basic Tips & Etiquette: A funny (and useful!) cartoon guide. 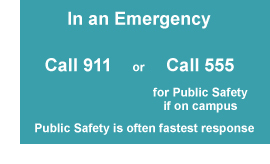 If you are a student, click here to report an incident. (Staff and faculty report incidents to the office of Equal Opportunity and Affirmative Action at http://eoaa.columbia.edu/eoaa-policies-and-procedures.) Filling out the form will initiate an investigation and you will be contacted the next business day by a case manager. Depending on the type of incident, it will be handled either by the Student Conduct and Community Standards (SCCS), which investigates harassment and general student misconduct, or by the Title IX coordinator https://sexualrespect.columbia.edu/columbias-title-ix-coordinator, which investigates gender-based misconduct. For policies and procedures regarding gender-based misconduct, go here. SCCS, Title IX, and EOAA work closely together and will assign your case to the most appropriate case manager, while also offering referrals for counseling, medical attention, legal consultations, and other resources. During business hours, you can also call or visit the SCCS or Title IX Coordinator. What happens once I file a report? You will receive a call back by the next business day by a case manager assigned to you. Depending on the type of case, the incident will be investigated by the Student Conduct and Community Standards (SCCS), which investigates harassment and general student misconduct, or by the Title IX Coordinator, which investigates gender-based misconduct. You can, but without a way for the case manager to contact you for more information, it severely limits the ability to follow up and investigate the incident. It depends on whether the incident rises to the level of police involvement and what you want to have happen. Columbia will not forward a case to the police against your wishes unless a reported incident is serious and endangers others within the community. In that case, Columbia has a duty to move a case forward. Neither the Student Conduct and Community Standards (SCCS) or Title IX Coordinator is confidential. Confidential services and counseling are provided by Sexual Violence Reponse and Counseling and Psychological Services. Neither the Student Conduct and Community Standards (SCCS) or Title IX Coordinator is confidential. Confidential counseling and emotional support for students is available through Sexual Violence Response (SVR) and Counseling and Psychological Services, both of which have on-campus offices and are open for drop-in visits. The Ombuds Office—available to students, faculty, and staff—offers a confidential place to discuss workplace and academic concerns while offering explanations of policies and procedures.